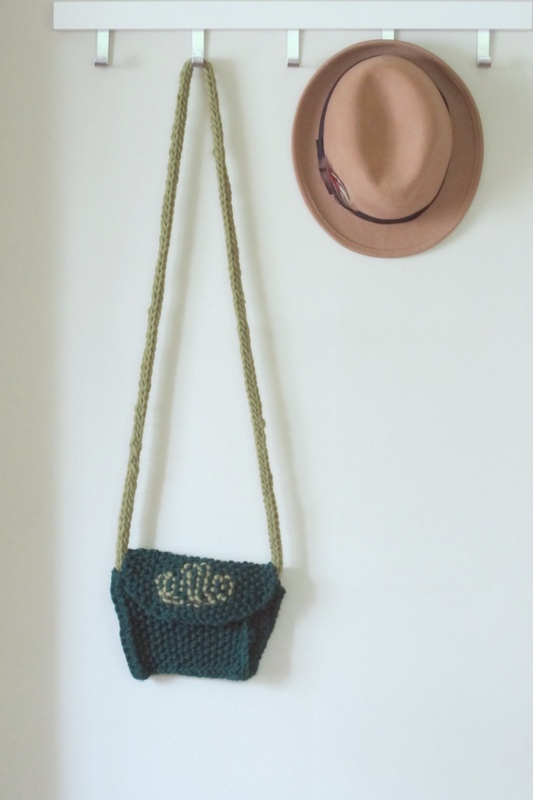 Recently I’ve started to experiment more and more with knitting and I made this purse. It’s not perfect and I am sure there are better ways to knit this, but this is just how I did it. This free knitting pattern is beginner friendly, you need to be able to knit and purl and decrease (which is easy). It also includes a knittied cord (with a link to the video I used to learn how to do it) and a bit of crochet (you can skip the crochet if want). 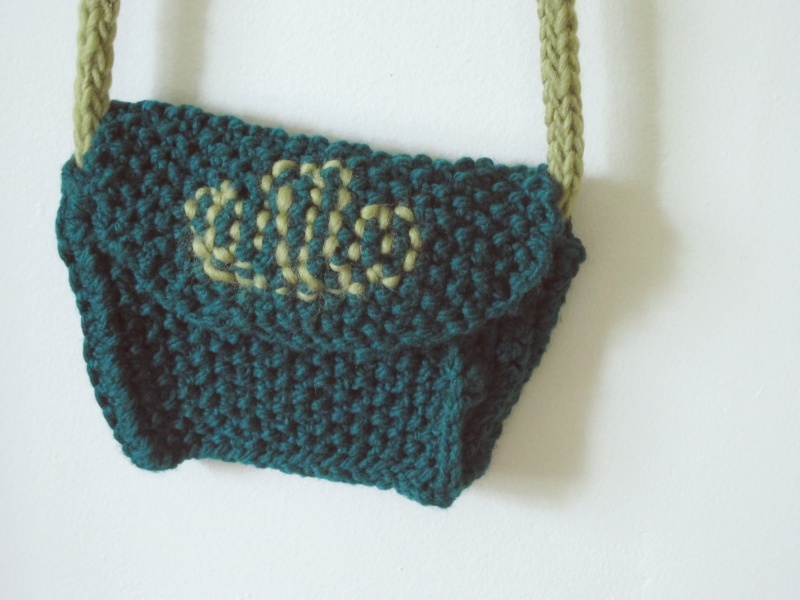 The purse is basically a seed stitch rectangle with a decreased seed stitch flap. Row 3: Purl 1, knit 1 … until the end of the row. Repeat until you have a rectangle that’s twice long as the palm of your hand (or as deep as you want your purse to be). Cast off (video at the end of the post). Pick up the stitches (see video below) from on of the short edges or your rectangle and knit the first two rows. Row 3: Decrease 1 at the beginning of the row, purl 1, knit 1 until you get to the end of the row, then decrease 1. When you have 8 stitches left on you needle, cast off. For me, the purl stitch looks kind of like a bump and the knit stitch kind of like a V. For the seed stitch, you need to alternate between purl and knit on your row and also between rows. So if I were to start the new row from the photo below, I would knit 1 (because the first stitch on the needle is a purl), then purl 1 (because the next stitch is a knit) and so on. Once you have your flap and main rectangle and cord, sew them toghether. I used a crochet to pick up stitches, but you can use a needle and just sew your pieces toghether. There’s a how to video below if this is the first time you’re trying something like this. I embroidered my flap with the same wool I used for the cord, but if you know how to do intarsia or fair isle, you could use that to decorate your purse flap. I didn’t add a button, because I want to sew a zippered lining to my purse and leave the flap as it is, but you could add one to your creation.